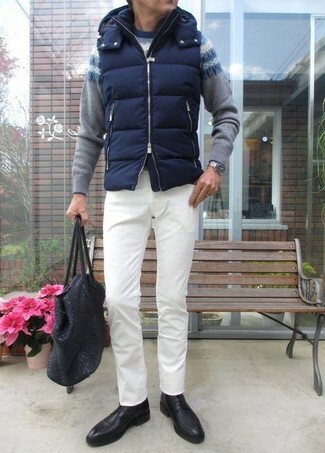 If you're scouting for a casual yet stylish look, marry a navy quilted gilet with white chinos. Both pieces are totally comfortable and will look great together. Black leather derby shoes will bring a classic aesthetic to the ensemble. Choose a black three piece suit and a grey turtleneck for a sharp, fashionable look. For something more on the daring side to finish off this outfit, make Marsèll soft nappa derby shoes your footwear choice. Try pairing a navy bomber jacket with navy dress pants for a sharp, fashionable look. When it comes to footwear, this getup is finished off nicely with Marsèll soft nappa derby shoes. 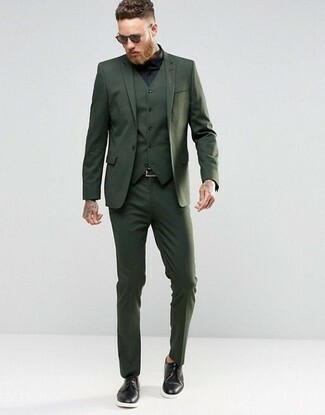 Opt for an olive three piece suit and a black dress shirt to ooze class and sophistication. Go for a pair of Marsèll soft nappa derby shoes to make the ensemble current. For a casually elegant ensemble, team a navy blazer with tan shorts — these pieces go really well together. Kick up the cool of your look by finishing off with Marsèll soft nappa derby shoes. For a nothing less than incredibly stylish getup, pair a beige crew-neck sweater with brown dress pants. Finish off this look with Marsèll soft nappa derby shoes. For a nothing less than incredibly stylish getup, opt for a black suit and a white dress shirt. 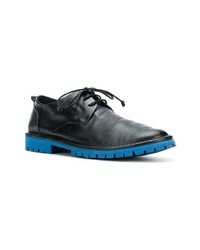 Grab a pair of Marsèll soft nappa derby shoes from farfetch.com to make the outfit more current. 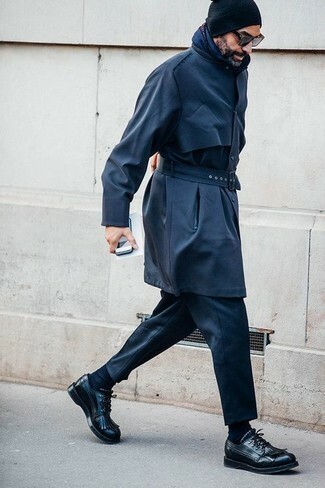 Tap into refined, elegant style with a navy trenchcoat and black dress pants. A pair of Marsèll soft nappa derby shoes ads edginess to a classic style. 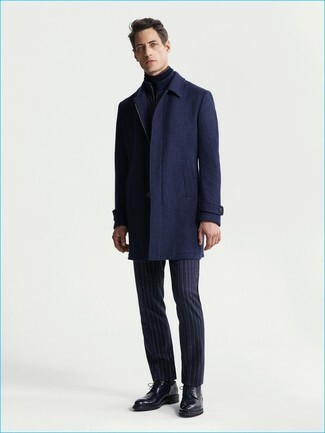 A navy overcoat and navy vertical striped wool dress pants is a greatcombination for you to try. For something more on the daring side to round off this ensemble, grab a pair of Marsèll soft nappa derby shoes from farfetch.com.